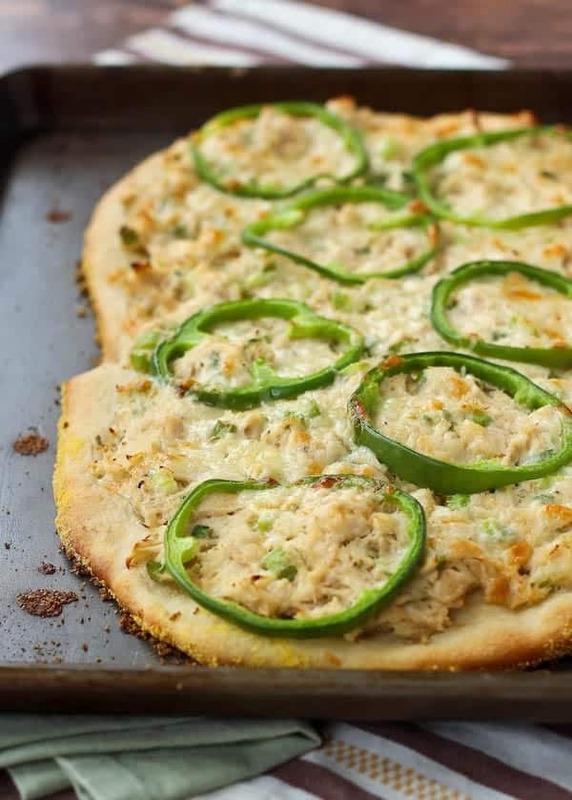 This tuna pizza is reminiscent of the classic tuna salad, but in pizza form. 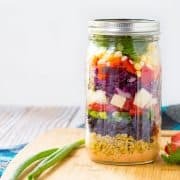 It’s a quick recipe that’s sure to become a favorite. Mix with yellow mustard and eat. Yes. That’s it. Is it weird that it was the last recipe in the recipe book? This month I’m teaming up with Milk Means More, to focus on budget-friendly meals. Creating a delicious meal doesn’t have to break the bank, especially when you’re starting from scratch, like with this pizza dough. Buying a pre-made dough could cost you a few dollars but making your own will likely come in under a dollar. Tuna is super cheap, especially if you don’t splurge on the white stuff like we do. Watch the sales and stock up when it’s on sale – cans of tuna keep forever (or something like that) so it’s a good item to stockpile. Another money saving tip is to shred your own cheese. I love the convenience of shredded cheese and have more than a few bags in my fridge at all times for quick and easy food prep, but block cheese is a more cost-efficient choice. 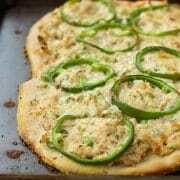 Take your tuna salad outside the sandwich with the fun and budget-friendly tuna pizza. Top it with hot sauce if you like it hot! 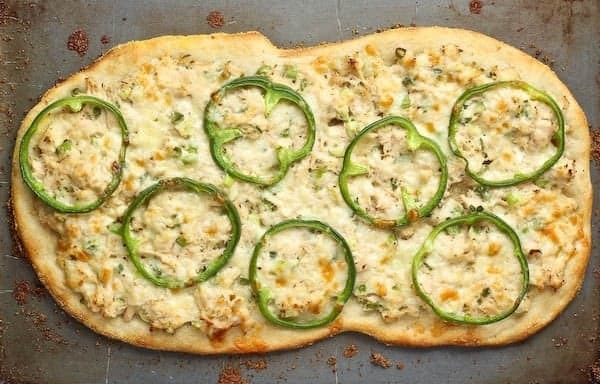 I cut my pizzas with the Scizza – it is amazing! On a sheet pan, spread olive oil on pan. Sprinkle evenly with cornmeal Spread crust on top of cornmeal, pushing crust to edge of pan. Bake crust for 4 minutes. Meanwhile in a medium bowl, mix tuna, mayonnaise, 1/2 cup cheddar cheese, green onion, and celery until combined. Taste and season with salt and pepper as desired. Remove crust from oven and carefully and evenly spread tuna mixture on top of crust. Add remaining cheese and green bell pepper and return to oven. Bake for 8-10 minutes or until crust is golden brown and toppings are hot. Let cool for 1-2 minutes before cutting and serving. Top with hot sauce or green onions as desired prior to serving. OK you definitely have me intrigued! I love tuna and have never thought to put it on pizza dough!! I can’t say that I’ve ever had tuna on a pizza before…but I CAN say that I am also not mad about it one bit…because this is SUCH a great idea!! Pizza Monday is totally the new pizza Friday! Pizza everyday! :) Thanks for the pin! 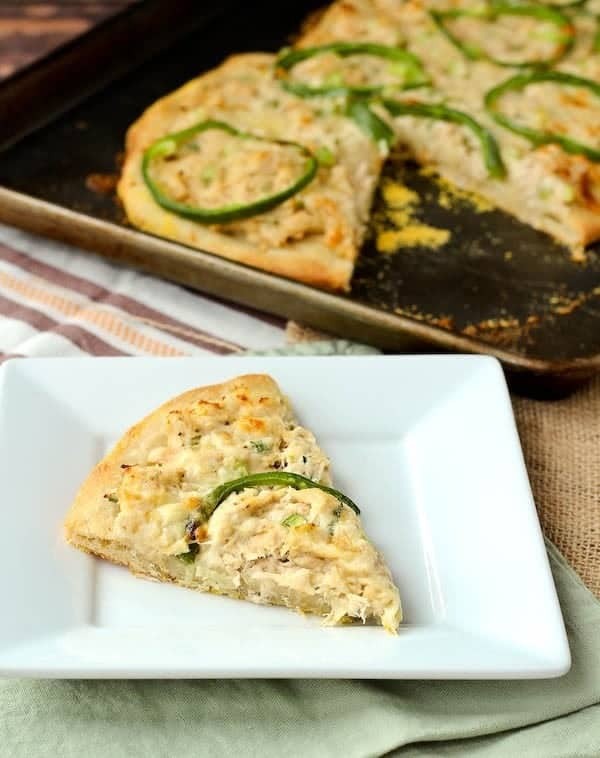 Mmm I love tuna and I love pizza, so this is a match made in heaven for me!! Awww what an adorable story! I personally eat yellow tuna a few times a month. I’m a total mustard lover. Anyway, I LOVE how creative this pizza is! 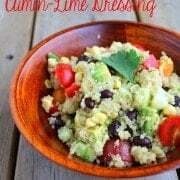 What a fun twist on a lunchtime favorite! Ahh yes of course! You could top with some extra green onions if you like those! LOL I love Ben’s recipe. What a guy for participating and being resourceful! PS. This recipe reminds me of one of my favorite meals: tuna melts! I am dying over Ben’s recipe contribution to the cookbook! Too funny! This pizza sounds like the perfect thing for lunch – or even Super Bowl munching. Yes! I would be great for game days! Ben’s recipe – haha. When I was a kid I only liked eating tuna with mustard but now that I’m an adult I eat it like a normal person ;) This pizza totally has me intrigued! I bet it’s delicious! Ha! Your husband’s yellow tuna…Classic! Tuna on pizza? I’m intrigued. This is the kind of thing my guys would go crazy for. So creative and budget friendly is a really good thing with 3 hungry boys!